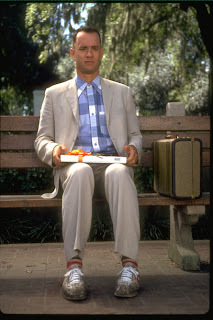 “Life is like a box of chocolates…” We’re all familiar with those famous words muttered on that bus stop by Forrest Gump. A slightly slow yet walking example of “the right place at the right time” as he made his way through life adding to and creating some of the pivotal moments of our country and society. He wasn’t a smart man as he would put it, but he did know what love was. Jenny, his childhood object of affection was in and out of his life leading up to her passing and including giving birth to their child. 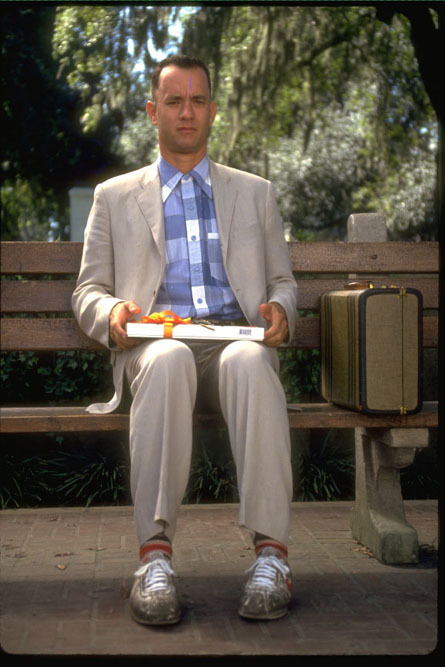 Now this isn’t a movie review, this is simply looking at a man who made life as simple as it needed to be. He was kind to those he met, honest, responsible & he knew who he loved. We make things so complex & complicated especially when it pertains to love. We want to place all of these stipulations, rules, games and unnecessary nonsense in our hearts instead of simply loving who we love. Granted in this day and age most of us barely know ourselves let alone someone else. We spend so much time trying to “be someone”, to look, speak, act or dress in a way to create and brand an identity that we either forget or never learn how to just be ourselves. Why? Who was so successful at finding happiness this way that they set the trend for such behavior? Who was it that told everyone to make something as simple as love more complicated than translating Japanese to German? With all of this fakery and projected false imagery of who we are no wonder more and more people are finding themselves alone or in unhappy relationships. Without properly identifying and knowing who we are, how can we possibly expect someone else to see us, know us and love us? It’s funny, we say “ignorance is bliss” because people of “lesser intelligence” are viewed as not really knowing. That their happiness is the result of being unaware of all the weights of the world & its complexities. Like children, they only see what’s in front of them. But how smart are we if we allow what we “know” to guide us into the mindset of self loathing, insecurity, & doubt? I don’t consider someone “the smart one” because they figured out a way to think themselves out of happiness.